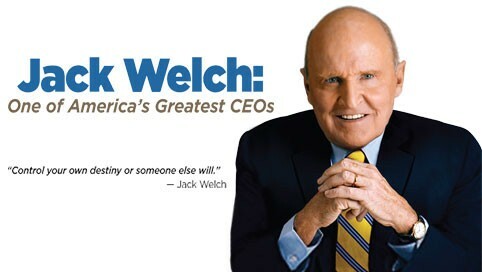 Jack Welch was CEO for General Electric for 20 years. They might call him “Neutron Jack,” but his answer to the most important attribute of leadership will surprise you. There are many successful CEOs we can learn from. Take Eric Schmidt growing Google, Howard Schultz scaling Starbucks, Bill McDermott taking SAP to the Cloud, and Jeff Bezos changing the world with Amazon. All of these leaders are incredible, but none of them surpass what Jack Welch did at GE. During his tenure, Welch was able to increase GE’s company value by 4,000 percent. You could make an argument that this impact was one of the greatest achievements in the history of CEOs. Here is where it gets interesting. Welch is considered by most to be ruthless and a results-driven leader. So much so, he was nicknamed “Neutron Jack” because of his aggressive firing policy in the mid 80’s (known as the “vitality curve”). While the majority of organizations no longer use the “vitality curve” method, organizational leaders have learned from and implemented strategies from Welch’s experience. Not long ago, I learned something I never thought I would hear coming from Jack Welch. Tim Ferriss interviewed Frank Blake the Former CEO and Chairman of Home Depot (a great leader in his own right) and former direct report at GE to Jack Welch. During the interview, Blake recalled a story in which he asked Welch, “Of all of the attributes of leadership, if you had to weigh them all and pick one, what is the single most important attribute of leadership?” His answer surprised me. THE SINGLE MOST IMPORTANT ATTRIBUTE OF LEADERSHIP IS GENEROSITY. Most people think of generosity in terms of money. But that isn’t what Welch was suggesting at all. He was using the term to describe how important it is for leaders to be fueled by the success of others. Through all the interviews I have done on the “Follow My Lead” podcast and working with companies of all sizes to help improve the leadership skills of their people I have come to define leadership this way. Someone’s who actions inspire, serve, and empower others to produce an improved state for the entire group over an extended period of time. Now it’s one thing to know this definition, it’s completely different to model it and live it out for your people every single day. Instead of waking up thinking about yourself, do your very best to think about your team. GIVE OF YOUR TIME, NOT MONEY. One of my favorite quotes ever is from John Crudele about parenting, “Kids spell love T-I-M-E.” If you want to be a more generous leader, start with giving more of your time. There is absolutely nothing you can do to replace the time you spend transferring knowledge and getting to know people one-on-one. By the time you spend with people, you might uncover money is needed, but let that be the last resort. SEEK OUT OPPORTUNITIES FOR OTHERS ADVANCEMENT. I believe with all my heart, leaders don’t create followers but they create more leaders. Gerard Adams has gone as far as to make a Youtube show titled, “Leaders Create Leaders” which is absolutely worth checking out. So instead of hoarding the best talent on your team seek out opportunities to help them advance in their career through new tasks, roles, or job functions. Those leaders who aren’t doing these three things are being the opposite of a generous and will find themselves as part of the reason their team never reaches its full potential. In the 20 years that Jack Welch led General Electric, its revenues rose from $30 to $130 billion and company value went from $14 to $410 billion.